As fashion girls, it seems like all we do is dream of, talk about, and long for fall fashion—then when it gets here, all we do is wish there were some way we could stack on the sweaters, coats, scarves, and hats without looking like a complete and total marshmallow. On the one hand, it’s extremely cozy and inviting to suit up for fall; on the other, all the layers can mean hiding our figures, which is kind of a bummer. Well, there’s one really easy trick you can do to look just a bit less marshmallow-y once the weather cools down. 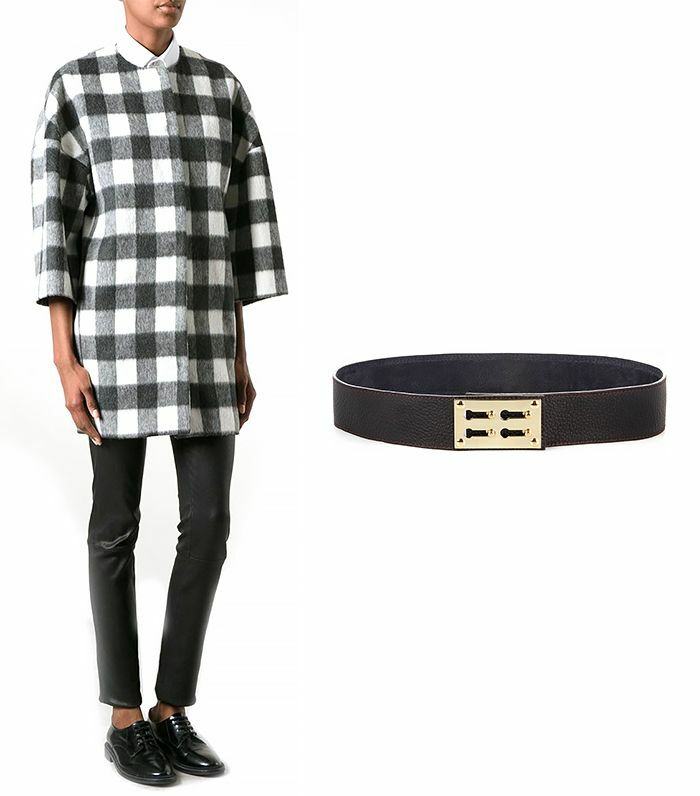 Throw a belt on over your coat, right at your waist. This trick works for numerous kinds of coats, from the trendy blanket coats we’re seeing everywhere to puffier pieces like furs and parkas. To help you master the trick this season, we’ve picked 12 coats and 12 belts that would look great on top of them. Keep scrolling to shop the slimming coat trick now! Do you think you'll try out this slimming trick? Tell us in the comments below!